The Seattle Waterfront – go there! The Seattle waterfront shops and restaurants have suffered from the construction of the seawall replacement and from the preparations for the removal of the viaduct. All of the construction has constricted the amount of visitors to the area and business has been slow for many of these shops as a result. We are happy to report that the waterfront construction is almost complete and all of the shops are back open and ready for business! Classics like the Ye Olde Curiosity Shop, Ivar’s and Elliot’s Oyster House have been remodeled and new attractions such as Wings Over Washington have been added. A new wide walkway means walking and biking along the waterfront has improved and there is a lot of added new parking as well. Let’s go down the waterfront and support the heart of our city by patronizing the waterfront! 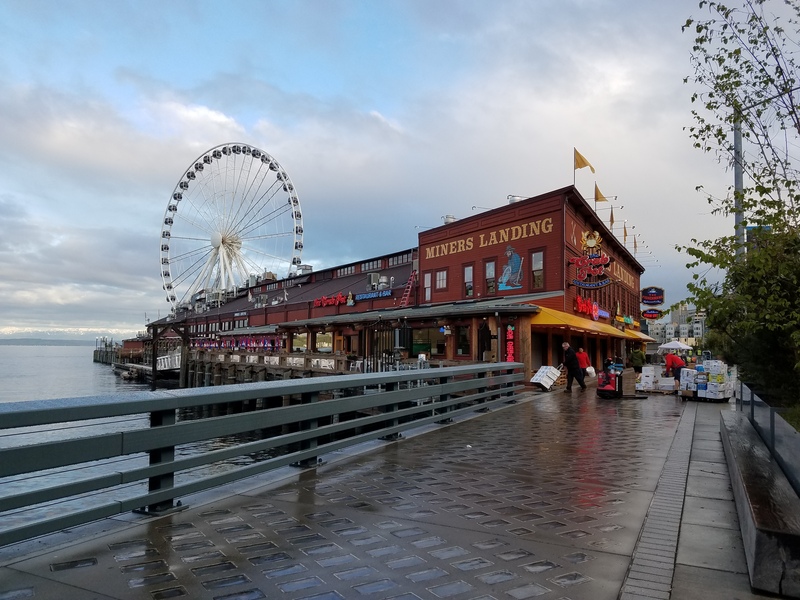 Enjoy attractions like Argosy, the Great Wheel, Wings over Washington and the Aquarium and then dine at one of the many eateries against the backdrop of the Puget Sound.